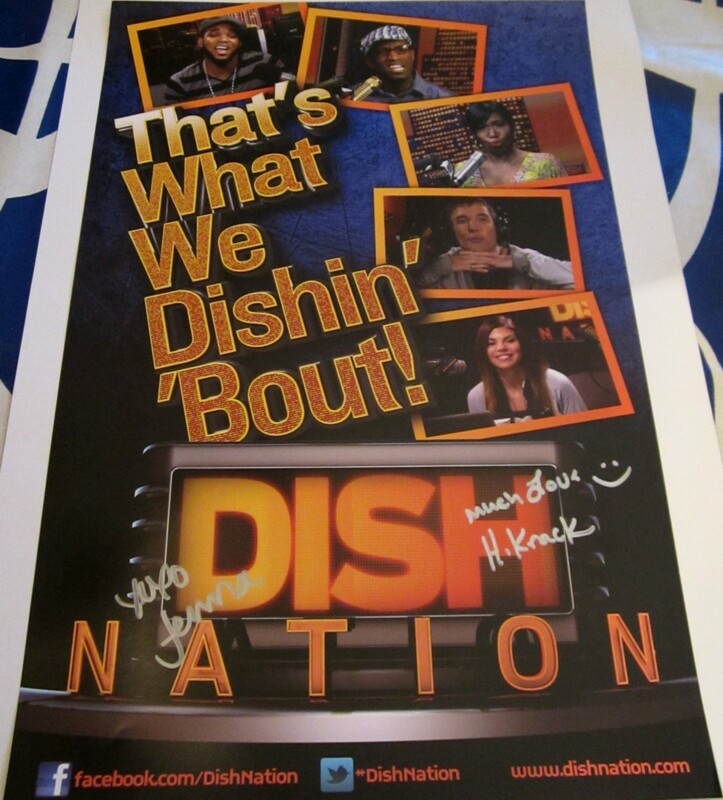 Roughly 11 by 17 mini promo poster for the Fox TV show Dish Nation autographed in silver by star DJs Headkrack and Jenna Owens, obtained in person at limited 2013 San Diego Comic-Con signing. MINT. With certificate of authenticity from AutographsForSale.com and photo from the signing. ONLY 2 AVAILABLE FOR SALE.